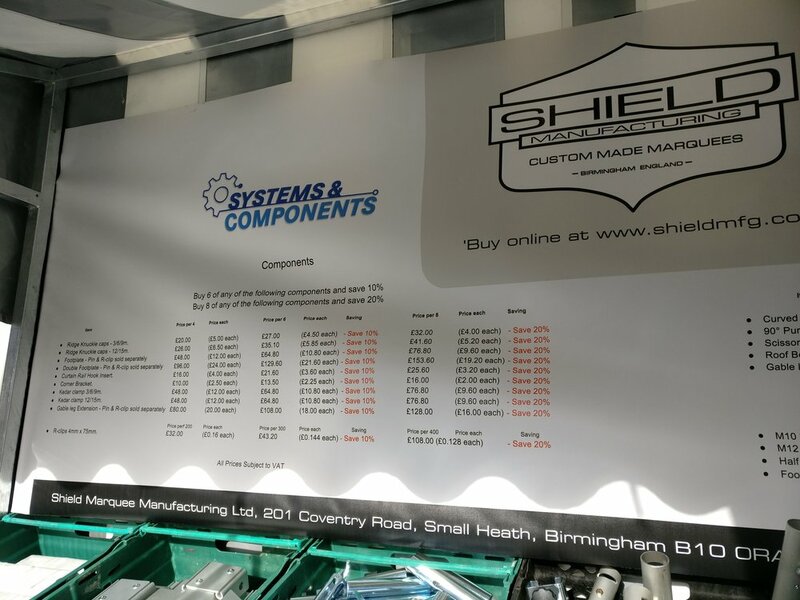 Showman's Show Gallery — Marquee manufacturer and temporary structure sales. Here's some picture from our stand at the Showman's Show 2017. Wednesday, October 19th - The first day of the exhibition. 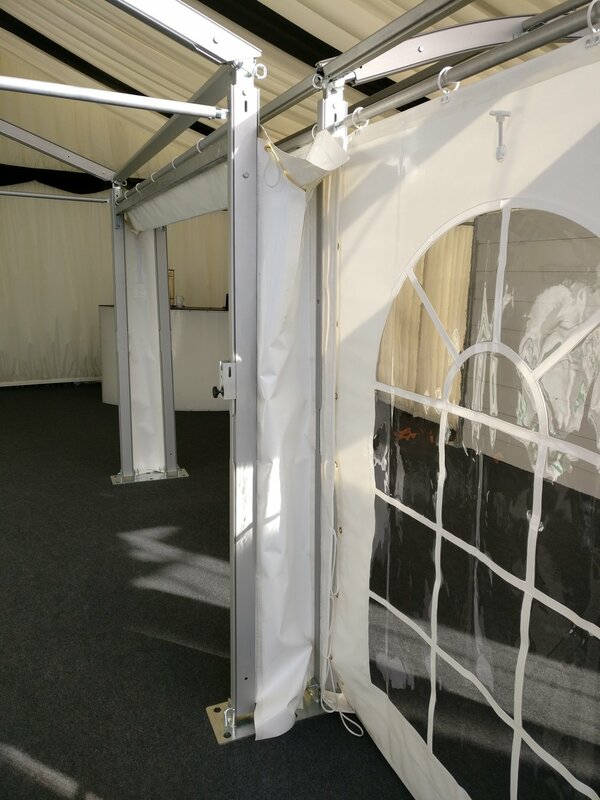 This is how our stand looks and here's some of our highlights - including the linings and solid walls that are now available for purchase. This is the front view of our Stand (172 @ Avenue C). Mitch and Colin (both at the front) are here to help you - as are the rest of our team here at the Showman's Show '16. 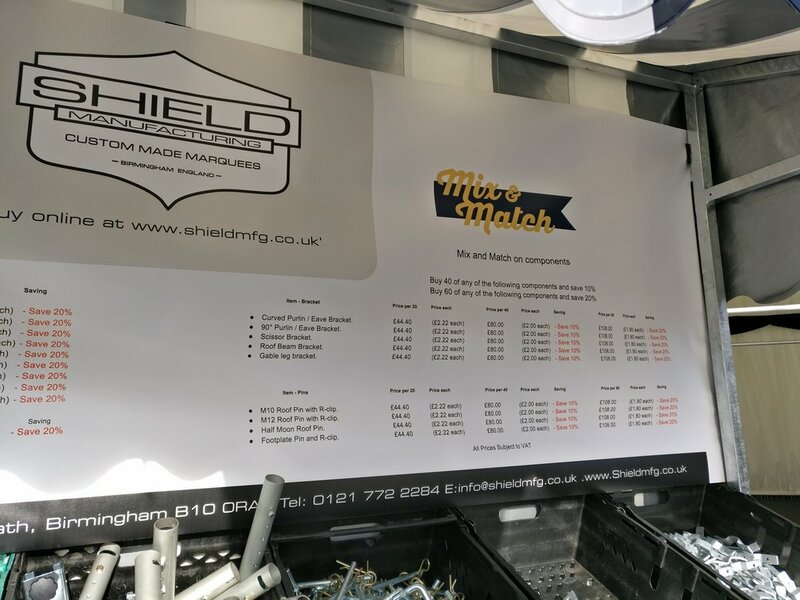 When at our stand, you can purchase a variety of different equipment parts. Exclusive to the show are our Mix & Match offers - get a variety of items with 20% discount*. *Applicable for multiple item purchases. A glimpse at some of the offers. A further look at our Show offers. 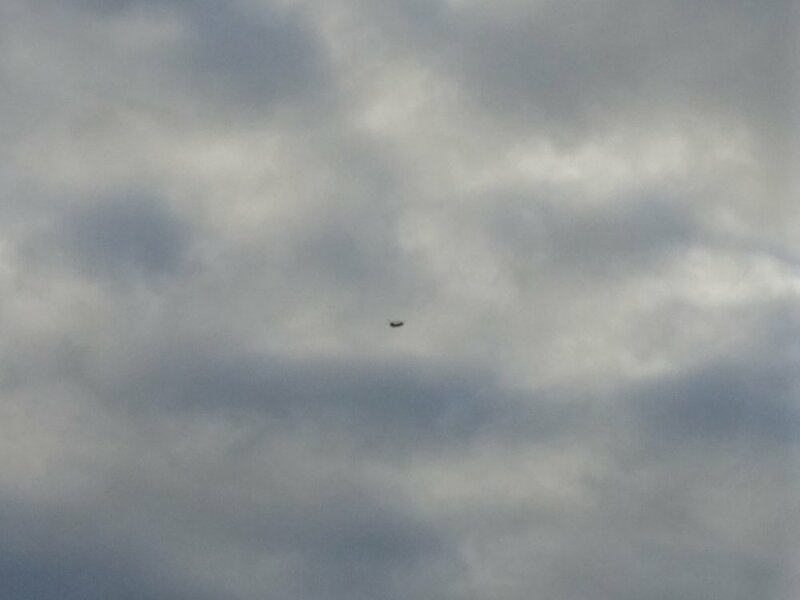 An RAF Chinook was directly above the Newbury Showground early morning today! 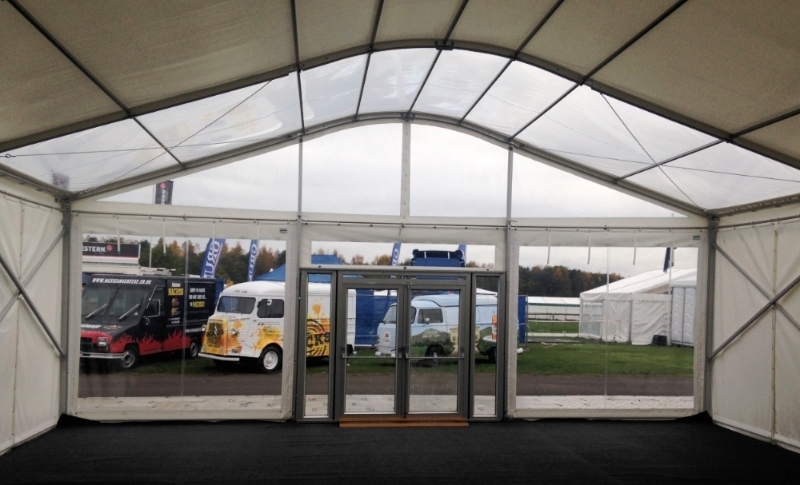 Monday, October 19th - Setting up the Showman's Show 2015 stand. 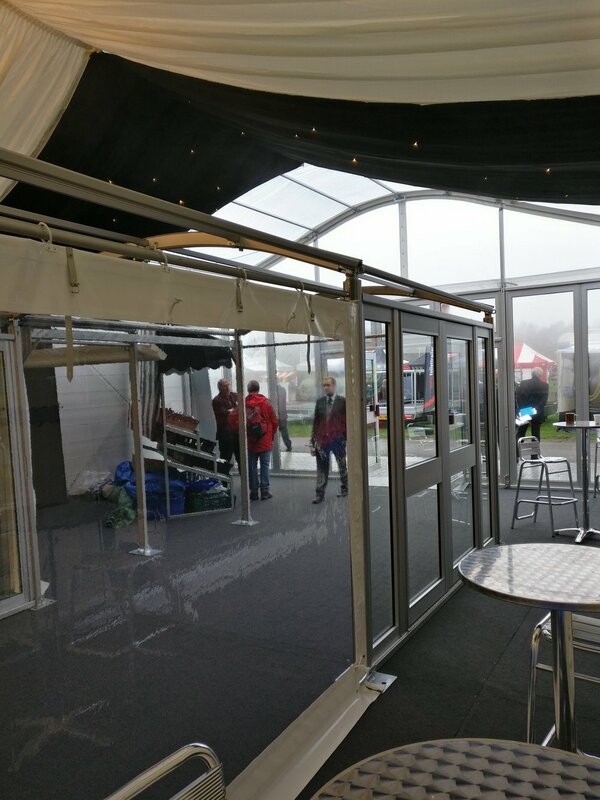 Setting up Shield's stand at the Show.You can see our new transparent PVC gable, roof and window walls. 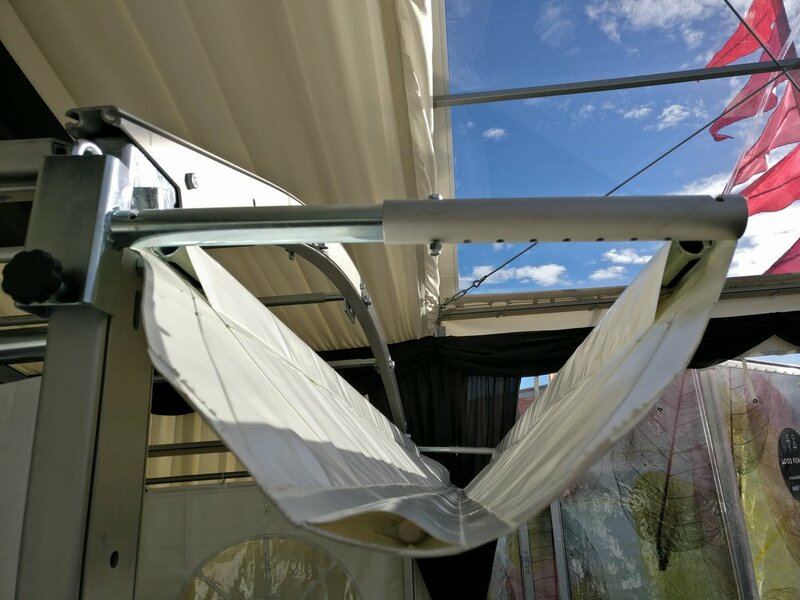 These all are adapted for the 3m 94mm legs and curved roof beam. Fun fact - should you wish for it, then the framework can be coloured. But that would be a CMS Custom job. And this is the way the whole structure looks from the outside. 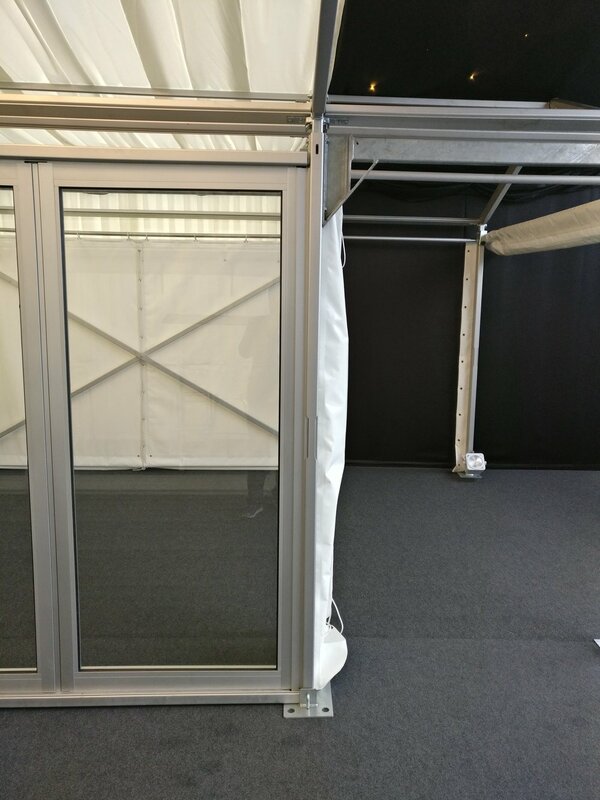 You can see the panoramic window walls have latches - these allow them to be rolled up, greatly simplifying transport and storage (and minimising damage during).